The Board of Cable & Wireless Communications Plc (“CWC”) today announces that it has reached agreement on the terms of a recommended acquisition for the entire issued and to be issued share capital of CWC by Liberty Global (“the Transaction”). The Board of Cable & Wireless Communications, having been approached directly by Liberty Global, has concluded that it is in the long-term best interests of the company, its shareholders, employees and customers, alike, to sell the business for an overall price of approximately US$8.2 billion. This equates to 86.82 pence per share in cash and Liberty Global shares for our free float shareholders and represents a premium of approximately 50 per cent. to our undisturbed share price, i.e. the price the day before Liberty Global’s interest in acquiring CWC became public, and a premium of approximately 18% to where CWC shares were trading last Friday, 13 November 2015. Liberty Global is the world’s largest international cable television company, with nearly 27 million subscribers receiving over 57 million distinct services and generating approximately US$18 billion of annual revenues, with operations mainly in Europe, but growing ambitions in Latin America and the Caribbean. By joining forces at this time, we combine our high growth assets in Latin America and the Caribbean, with the scale and complementary skills of a truly world class global player, materially improving our ability to offer leading products and services to customers in the region we serve. And by adding their strength and 1.5 million customers in Puerto Rico and Chile, backed by our strengths in adjoining markets and in leading submarine and terrestrial fibre networks, together we expect to grow our Consumer and B2B offers even faster. “While we remain confident that CWC’s unique and highly attractive business has a substantial long-term growth opportunity ahead of it, we believe the Recommended Offer represents an attractive premium for shareholders and secures earlier delivery of our long-term value potential, hence the Board’s recommendation today. “Since we launched our new strategy two years ago, CWC has transformed itself into a leading regional quad play operator. The disposal of Monaco, the creation of our regional hub in Miami and the recent acquisition of Columbus accelerated our competitive positioning whilst at the same time generating significant value for shareholders and enhanced service levels for our customers. “Liberty Global offers scale and world class capabilities and will be an outstanding custodian of our business, both for our people and our customers. The years ahead should bring new opportunities for further success, faster growth and enhanced customer benefits, built on the strong foundation we have created. CWC has created significant value for shareholders over recent years. The market capitalisation of CWC has grown from c.£1.1bn on 21 October 2013 to c.£2.5bn on 21 October 2015, the day before Liberty Global’s interest in CWC became public. The total shareholder return over the last two years leading up to this date was c.46% in comparison with c.16% for the FTSE 250 over the same period. 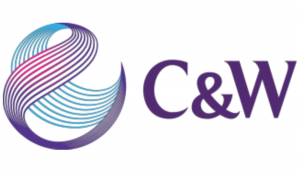 Incorporating the headline recommended offer price, CWC’s share price has grown to 86.82 pence, implying a total shareholder return of c.119% since 21 October 2013.